Welcome to UK's most comprehensive UK and European football ticket site offering the very best 2018/2019 Premier League tickets to the best football matches around. Last season it was Manchester City who won the Premier League title for the fifth time in their history! Stoke City, West Bromwich Albion and Swansea City were relegated to the Football League Championship being replaced by Wolverhampton Wanderers, Cardiff City and Fulham who gained promotion to this season's Premier League. This year is bound to become another exciting Premiership battle. 1st4 Football Tickets sells Premiership football tickets for home and away matches. You can either buy your Premier League tickets online, or you can call our football ticket hotline! 1st4 Football Tickets is a worldwide Premier League ticket brokerage company. We strive to achieve complete customer satisfaction by offering excellent service and a highly secure website for English football tickets. Find your Premier League football tickets, Champions League Final Tickets and EFL Cup tickets by using the links on this page. We hope you enjoy your experience with 1st4 Football Tickets! 1st4FootballTickets.com has the very best football tickets for Premiership matches – both home and away. Manchester City are the current Premier League Champions after winning the 2017 - 2018 trophy! The top footballers playing in the 2018/2019 Premiership are: Eden Hazard - Chelsea, Mesut Ozil - Arsenal, Romelu Lukau- Man Utd, Sergio Aguero - Man City, Fred - Man Utd, David Silva - Man City, Alexis Sanchez - Manchester United, Kevin de Bruyne - Manchester City, Harry Kane - Tottenham Hotspur, Gabriel Jesus - Man City, Mo Salah - Liverpool, Dele Alli - Tottenham Hotspur, N'Golo Kante - Chelsea, Firmino - Liverpool. The Premiership has a loyal, enthusiastic fan base that fully supports their favourite Premier League sides. All twenty of the elite football clubs in the first division have ardent supporters who attend home fixtures and travel to other cities to cheer for their beloved sides and favourite players at away clashes! Join in the fun and sit with other fans – enjoy the match! You can buy Premier League tickets at 1st4FootballTickets.com securely online - or you can call our football ticket hotline @ UK TEL: 0871 284 5277! Every ticket order from 1st4FootbalTickets.com comes with a 150% guarantee and will be delivered to you ASAP by our reliable partners FedEx and Royal Mail Special Delivery. 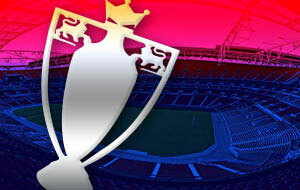 1st4FootballTickets.com has served tens of thousands of satisfied England Premiership fans for more than seven years. We offer friendly customer service and last minute bookings for one or more Premier League tickets from our highly secure football ticketing website. You can also book football hospitality tickets for Premiership fixtures online or by calling our football ticket hotline. 1st4 Football Tickets.com is not affiliated with the FA, UEFA, FIFA or any other football organisations.